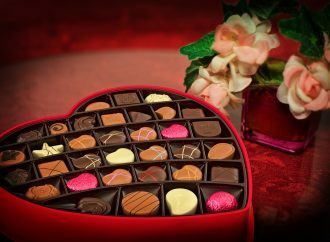 Thank you again for being part of our community. Along with other food lovers, you’re joining a fun and exciting journey to learn more about Nigeria, a West African gem that boasts a vibrant culture and delicious cuisine. And it’s also my home! 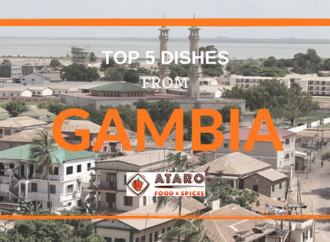 Since very little is known about West African cuisine in the Netherlands, when I arrived in the country a year ago, I knew I had to share my passion and love for my native cuisine with my newly adopted country and the rest of the world. 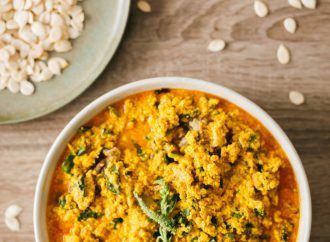 I’m excited to teach you how to prepare popular West African dishes, using simple and fun recipes during hands-on cooking classes. 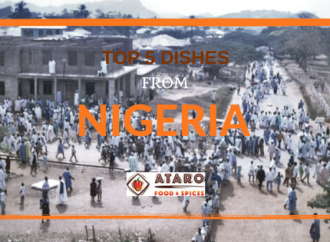 For an authentic taste of Nigeria, you’ll use Ataro Spices and herbs. Not only will you experience great food – this is also a special way to be introduced to West African culture. West African cultures share a number of similarities. 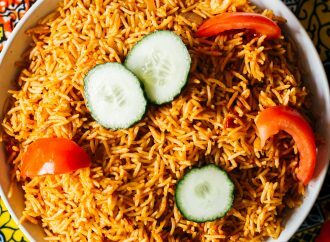 If you visit a Nigerian home during dinnertime, you’re likely to find three things that are in most West African homes. 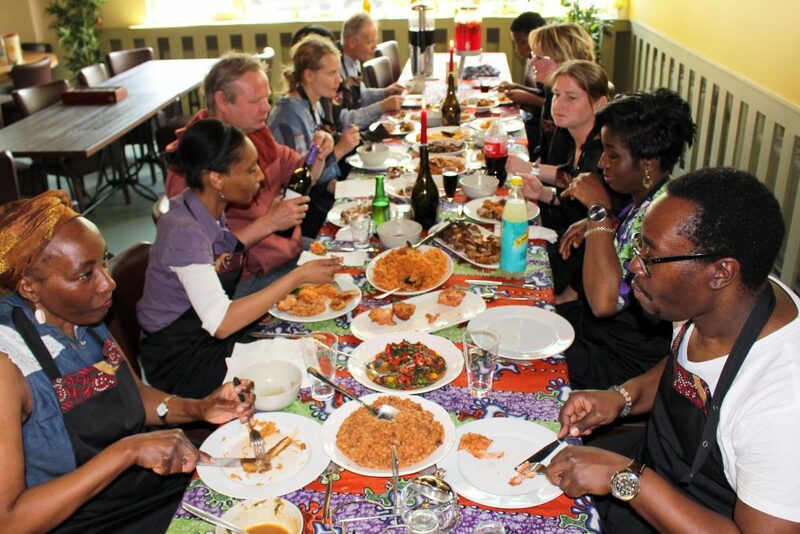 In Nigeria and throughout West Africa, cooking is meant to bring people together. Since our culture prioritises community, people rarely cook only for themselves. Just like conversations, meals are meant to be shared in groups, among family and friends. As a result, families are welcoming to any and all guests who might stop by during dinner time. The larger the dinner table, the better. I don’t know anyone in Nigeria who owns a small pot. We cook food for every occasion, always going to great lengths to make sure everyone has something delicious to eat. Since visitors can arrive at any time and they’re expecting to be fed, we’re always prepared. When we invite our guests to share a meal with us, we make them feel like they’re part of the family. The most important thing you’ll find at most West African dinner tables is happiness. This might be because no one is left alone long enough to feel depressed. Everyone feels embraced and supported by a large community that talks, laughs and eats together. It’s a wonderful recipe for happiness at every dinner table.